This relaxed traditional style is made for everyday dining as well as special gatherings. 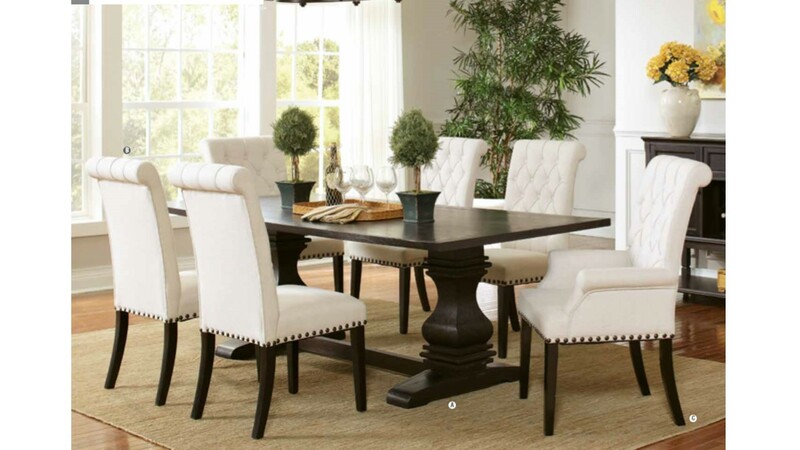 Family sized dining table has a fixed top and stout pedestal columns. 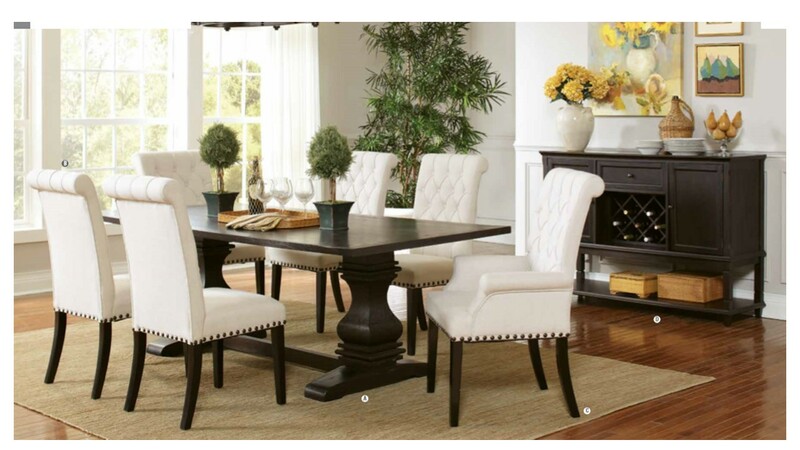 Rustic espresso wood finish is contrasted by cream color tufted parson side and arm chairs with nailhead trim. Matching server includes a wine rack.